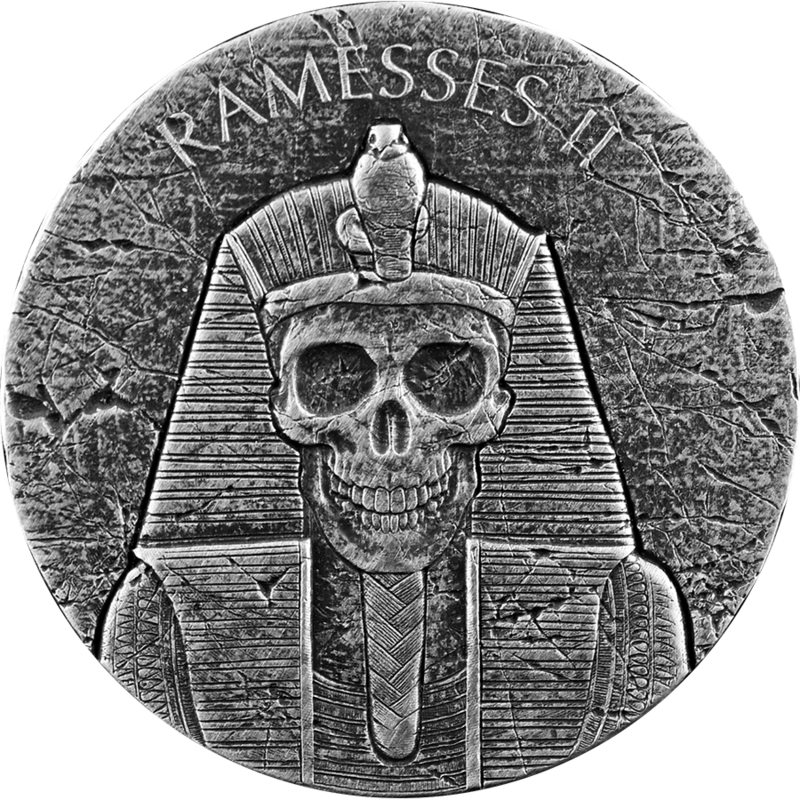 The 2017 Republic of Chad Ramesses II 2oz Silver Coin is part of the 2017 Egyptian Relic Series. 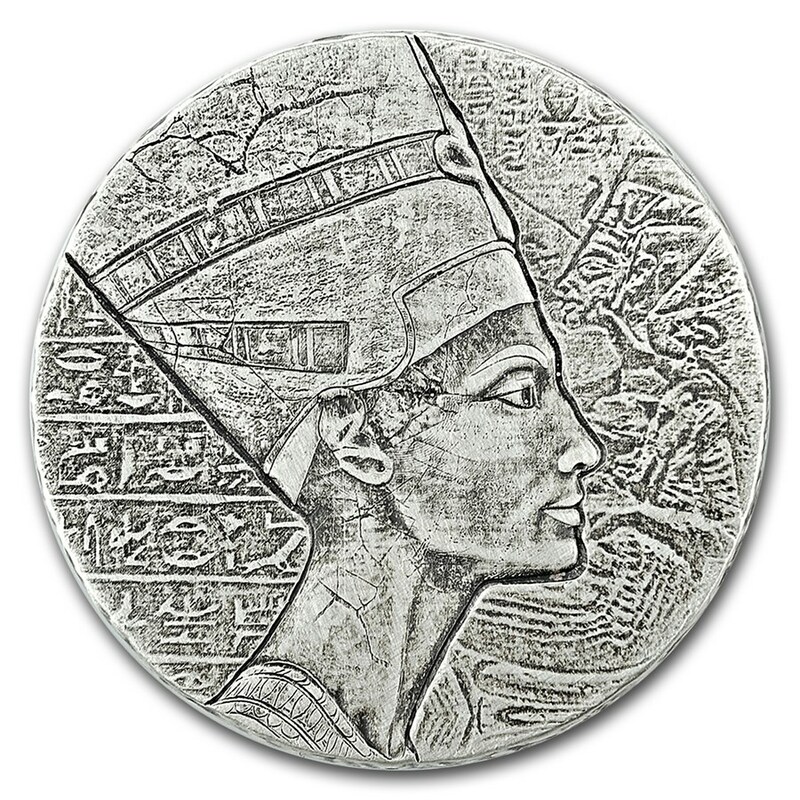 The obverse of the coin features a rimless design showing the profile of Ramesses II, Pharaoh of the Egyptian Empire from 1279 B.C. to 1213 B.C. 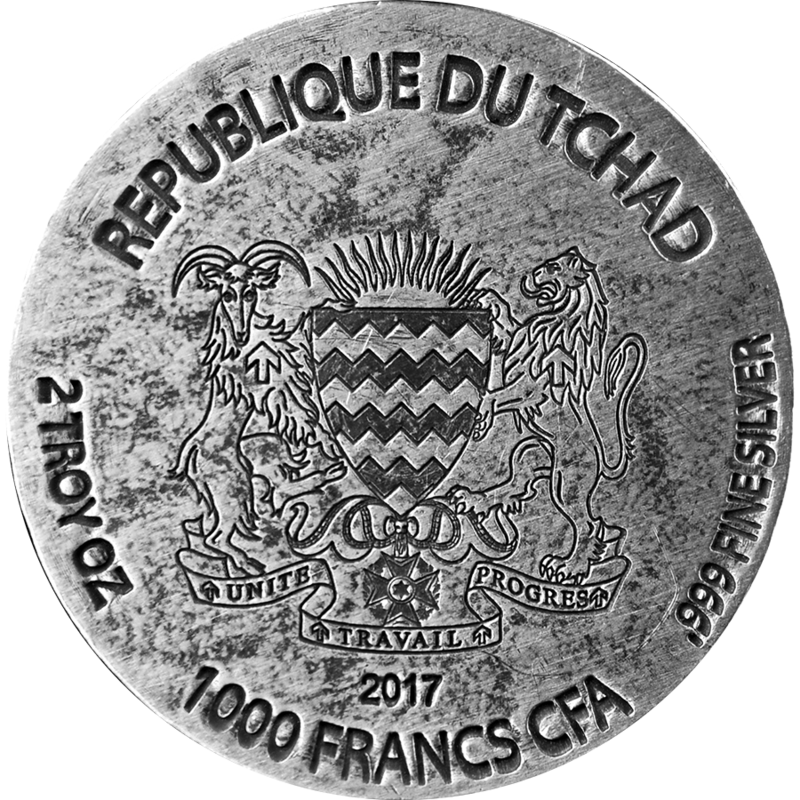 The reverse of the coin bears the national crest of the Republic of Chad. 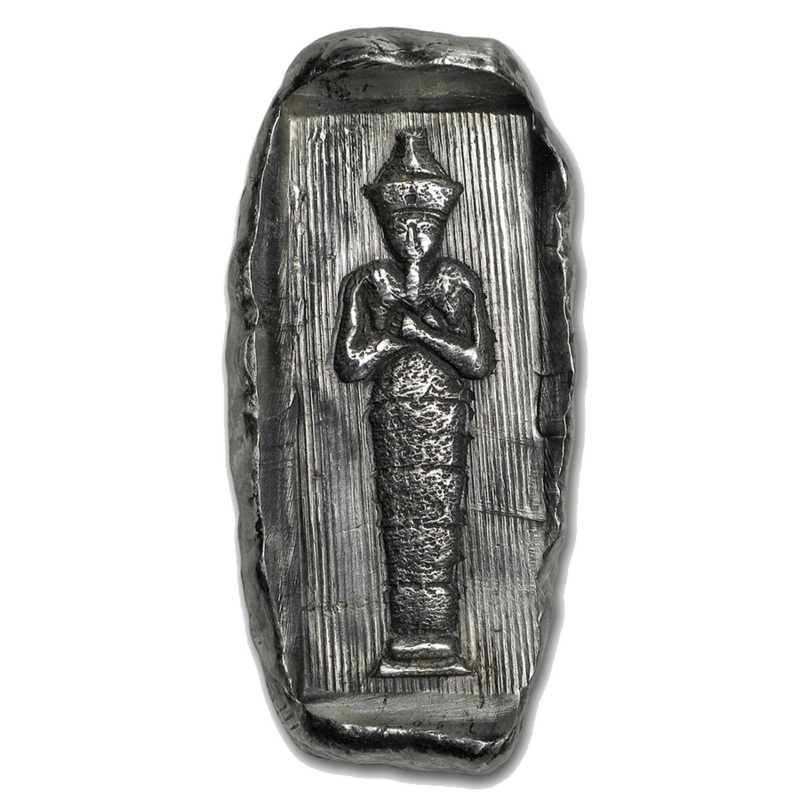 Each coin weighs 2 Troy Ounces and is struck in 999.0 Fine Silver. Maunfactured by the Scottsdale Mint in the United States. Dimensions: Diameter 42.0mm. Thickness 4.75mm. Maximum mintage of 25,000 coins. 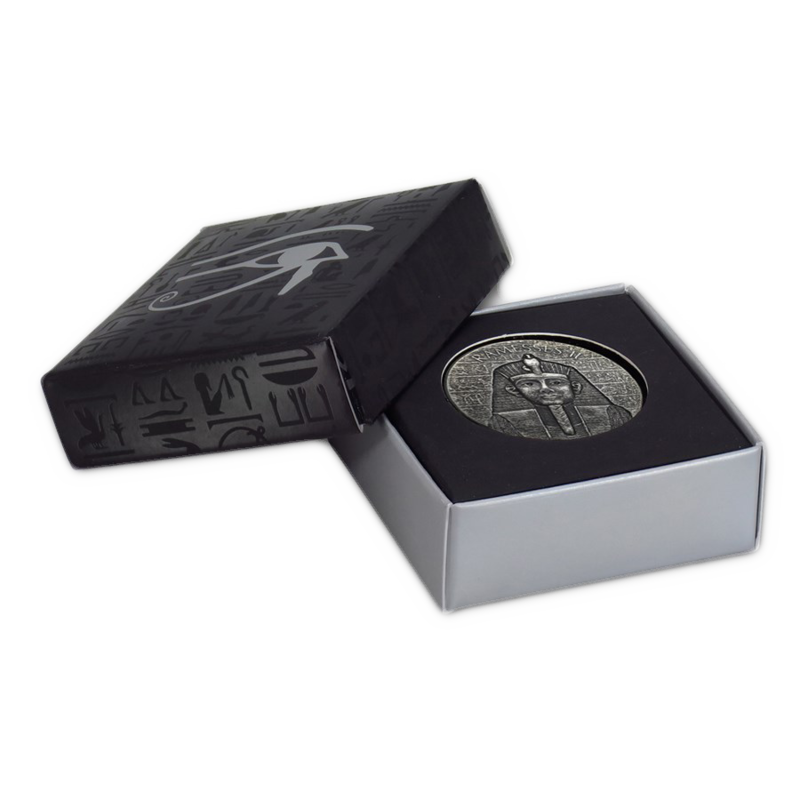 Coins arrive presented in a glossy gift box. 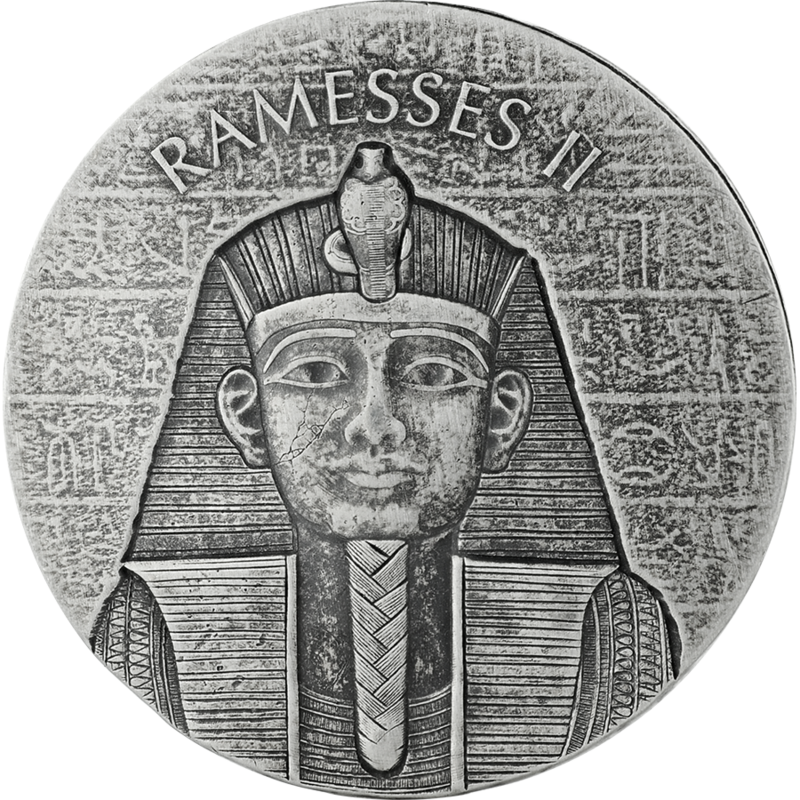 Ramesses II was also known as "Ramesses the Great", and reigned as Pharaoh of Egypt from 1279 B.C. 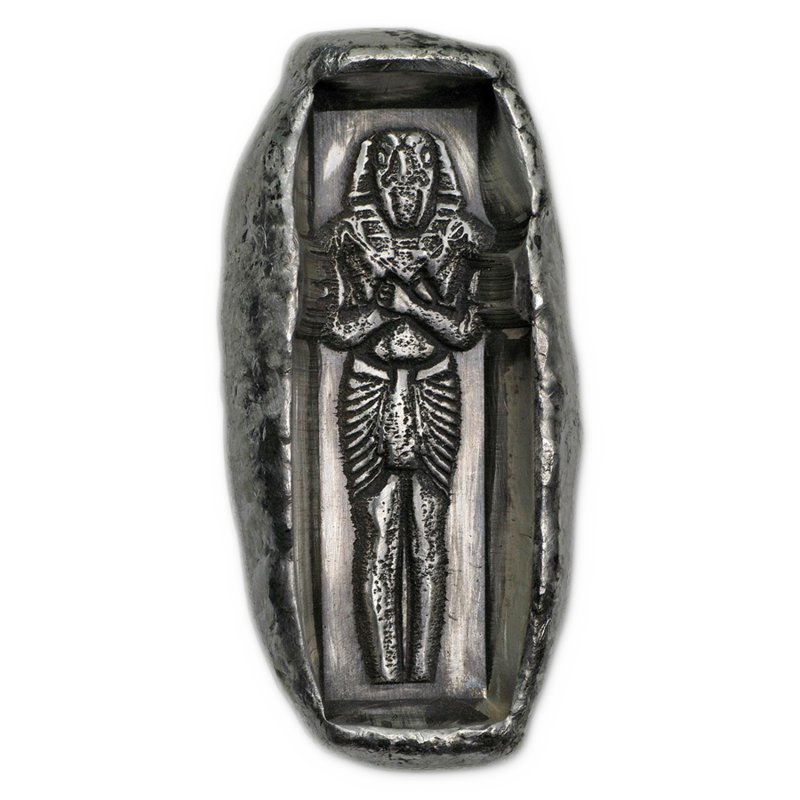 to 1213 B.C. 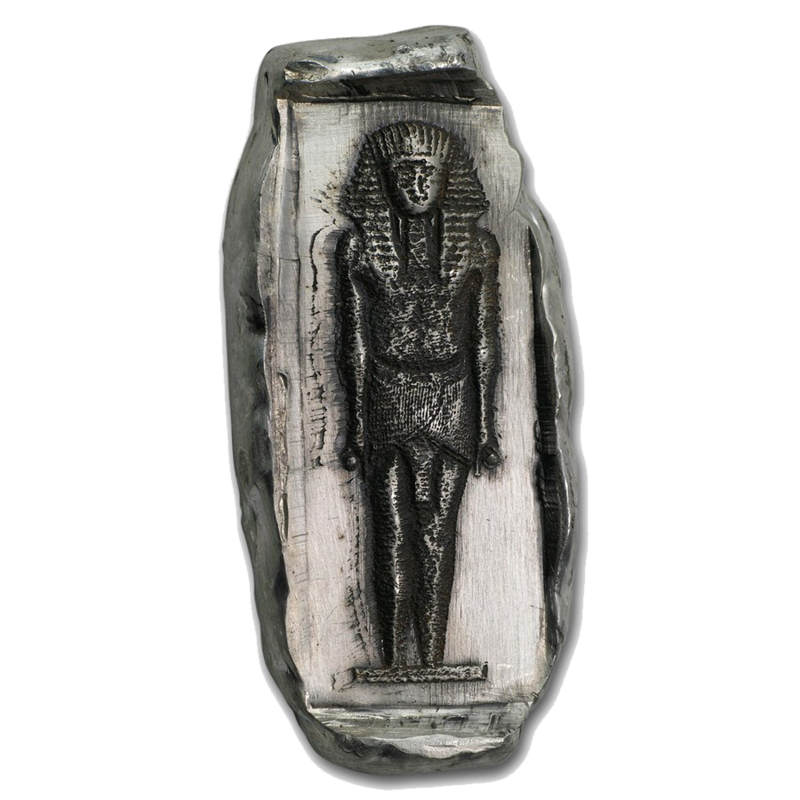 He is regarded as one of the greatest and most powerful Pharaohs of the Egyptian Empire. 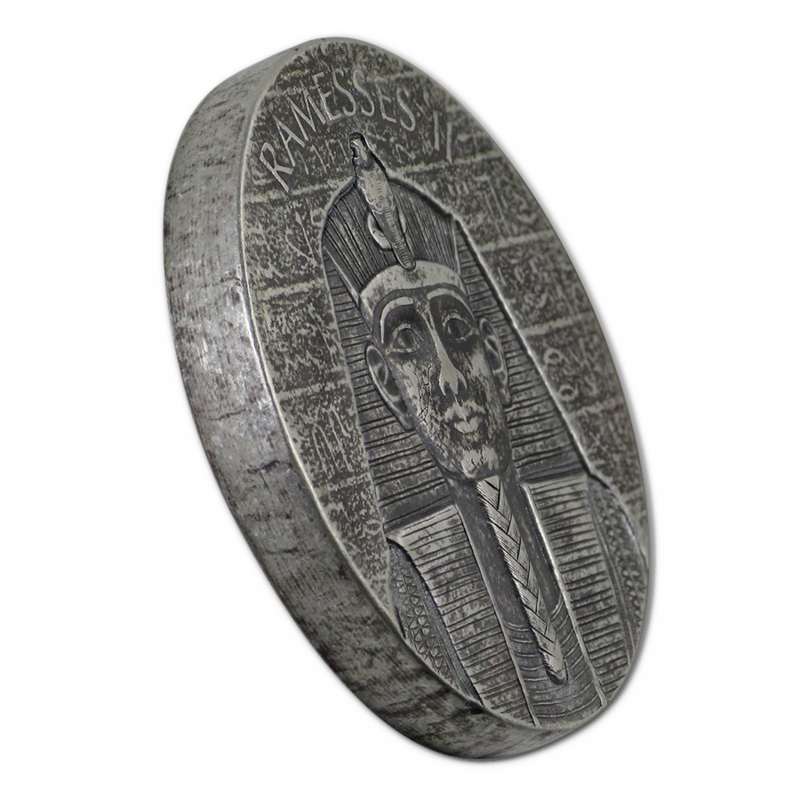 The hand-brushed Antique finish to this coin gives it an authentic look and feel, making it appear that it is an Ancient Egyptian relic.